David Ferrer received a doctorate degree in Kinesiology with a concentration in Exercise Physiology and cognate in Exercise Psychology from Georgia State University. Dr. Ferrer’s research interests includes enhancement in performance and body composition via resistance training and the use of ergogenic aids. 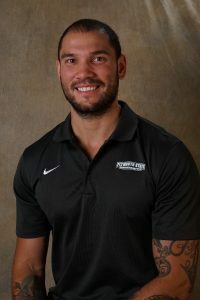 His research interests stem from his background as a former NCAA Division I baseball player as well as his training background in power lifting and CrossFit. Ferrer, D. A., & Ellis, R. (2017). A Review of Physical Activity Interventions Delivered via Facebook. Journal of Physical Activity and Health, 14(10), 823-833. Ferrer, D. A., Brandenberger, K. J., Baumann, C. W., & Otis, J. S. Physical motivation influences race performance over a 24 hour ultra-marathon. International Journal of Sport Studies 5(10),1162-1169. 2015.